Take exit #1 in Maine. Follow the signs to the Portsmouth Navy Yard. When you cross State Road, US RT 1, start looking for parking! Continue on Harold L Dow Hwy (ME route 236) - go less than .1 mile. Government Street through Wallingford Square up to Walker Street. 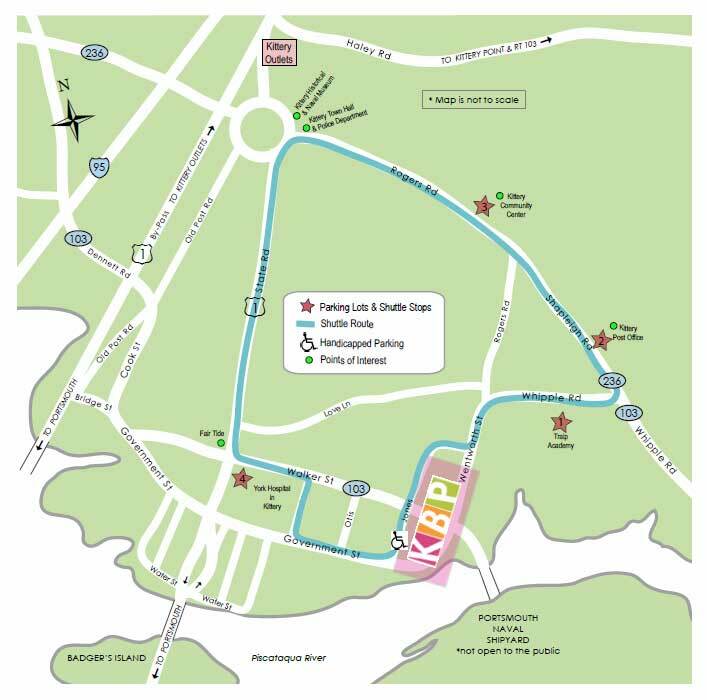 Parking and Shuttle Route Parking is available at 1) Traip Academy 2) Kittery Post Office 3) Kittery Recreation Center 4) York Hospital in Kittery. There is designated handicap parking on Jones & Government as well as street parking on Government and Walker in designated areas. Shuttle bus will be making stops as needed.